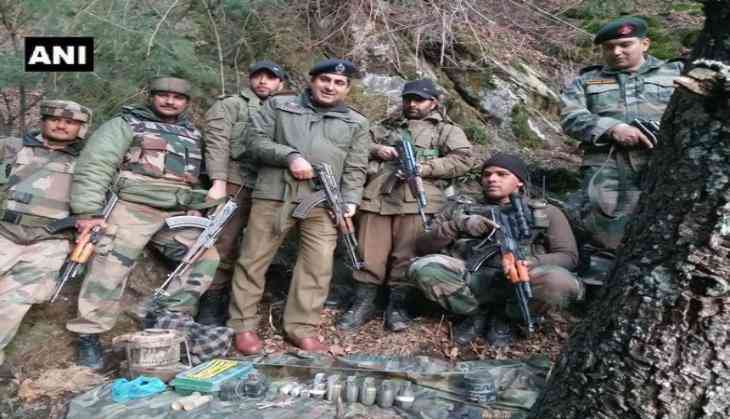 The Special Operations Group in Kupwara, busted a terrorist hideout in Jammu and Kashmir's Lashtiyal village. On Monday night, based on specific information, army's 41 Rashtriya Rifles and the Central Reserve Police Force (CRPF) 98 Bn collectively, seized large cache of arms and ammunition from the village's forest area under the jurisdiction of Kupwara Police Station. The recovered material includes 2 kgs of the Improvised explosive device (IED), three UBGL shells, 15 rounds of pistol, 335 rounds of AK and seven detonators. A case has been registered under the Indian Arms Act at PS Kupwara.